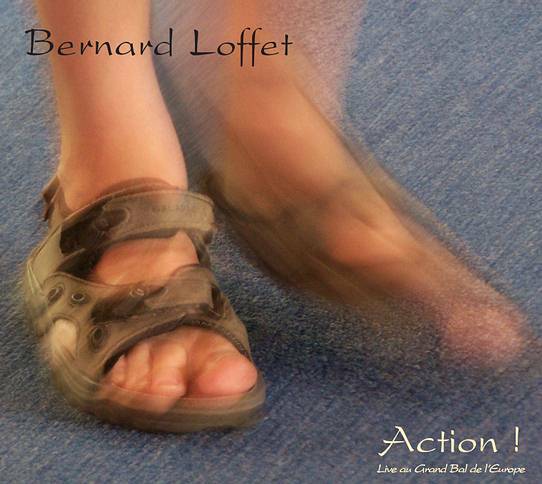 Just had some coin to spend so I treated myself to downloads of Bernard Loffet’s two CDs, Action! and Moteur! and, honestly, I can’t say enough nice stuff about them. I got them on Amazon for $9 US each. They are top notch Breton music, in every way. Action! it seems, was recorded at an actual dance, and the shuffle-ish feet action really adds to the energy. The recording is very clear, and the melodeon sounds amazing. What a sound his machines get! Also, Action! features a pach pi that I recently put on YouTube … I’m not saying it means anything … just had one of those, “Hey, I play that!” moments. Moteur! (the older of the two) begins with Perroch’s “Scottish du Regret,” done very nicely — cocktail accordion style — with a lot of swing and variation. The rest is a marvelous clinic of Breton accordion. And, again, beautiful sounding accordions, beautiful playing. Next Post Melodeon or Accordion or Accordéon or what? This is brilliant and I'm very interested. I'm going up against a learning curve, especially with the lingo, but future readings will surely alleviate my…deficiencies? The layout and design are fantastic as well. I'm looking forward to further reading.